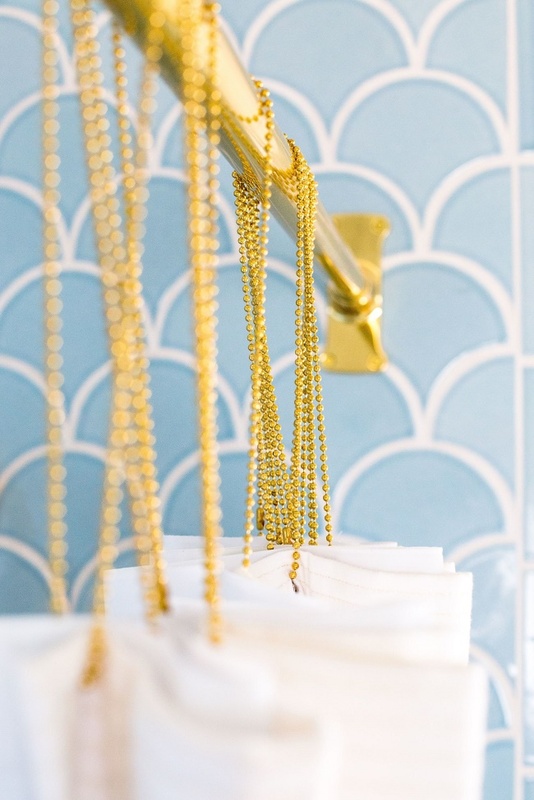 I am totally in love with this glamorously chic bathroom designed by none other than the talented Emily Henderson! I really like how bright, airy and fresh this space looks. 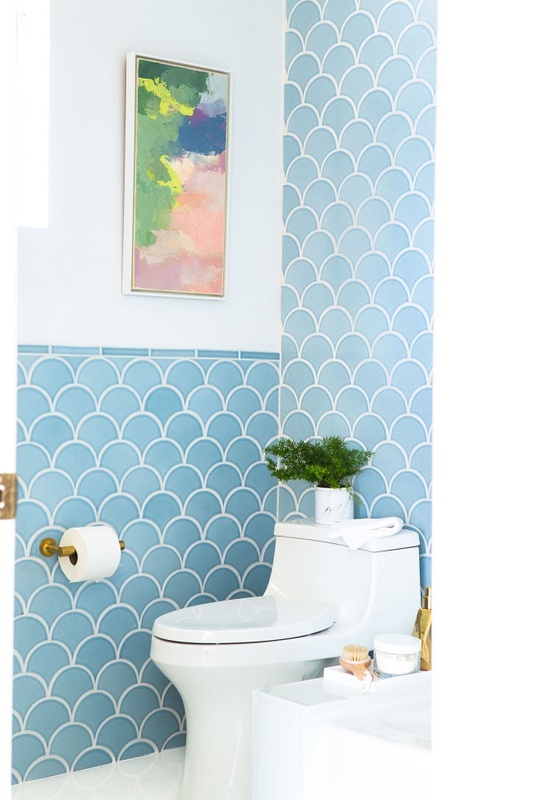 The beautiful scallop tiles are definitely the star in this fabulous bathroom! 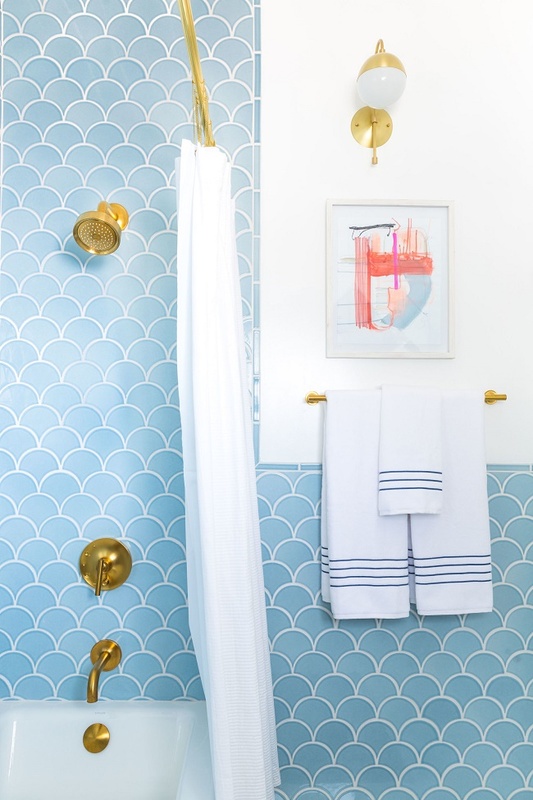 Unexpected touches such as the modern gold fixtures combined with the pale blue classic, playful tiles definitely plays a part in contributing to a visually interesting design, don't you think? 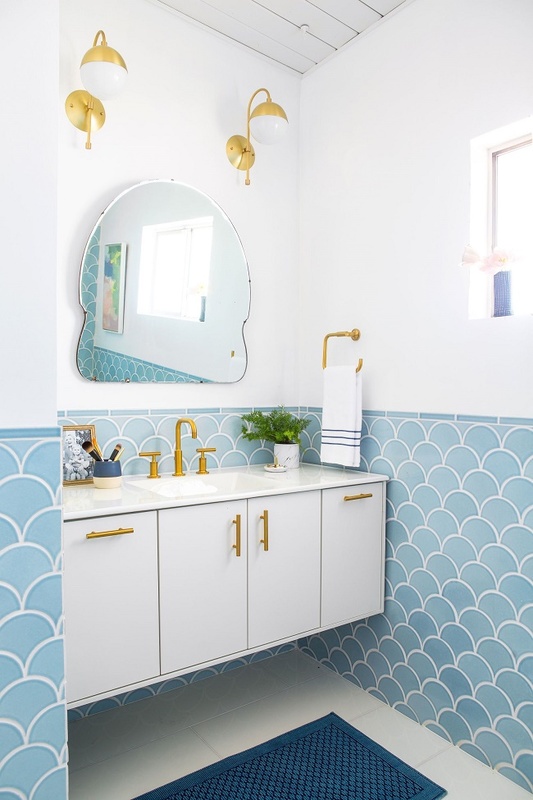 I also like how the designer picked a simple yet charming, curved mirror to mimic the scallop tiles to bring the whole design together. 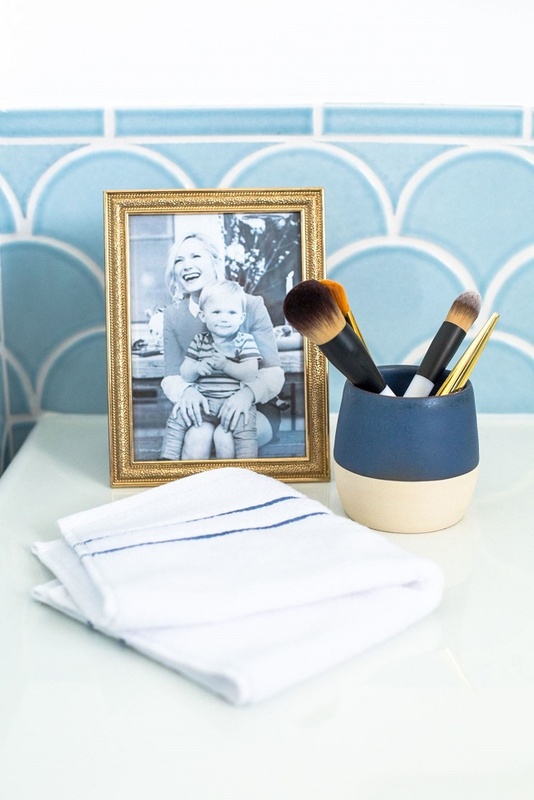 Such a stylish, delightful and well thought out space, what's not to be inspired by? Thoughts? 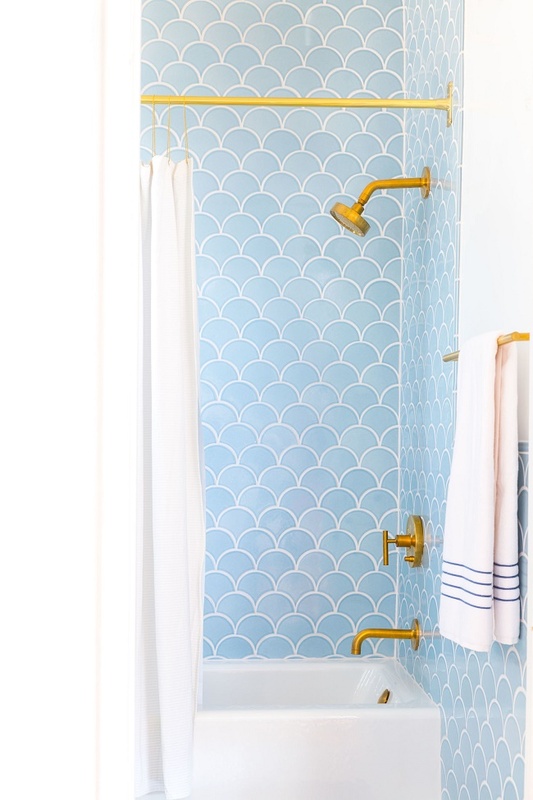 Like that gold is returning....what a clever way to hang a shower curtain!